The Greeks distinguished between two kinds of knowledge: rational propositional knowledge, and direct knowledge obtained through sense experience and knowingness. They called the second kind of knowledge gnosis, and its attributes are remarkably similar to the experiences of creative breakthroughs and remote viewing. The French mathematician Jules Henri Poincare told friends that on two occasions major breakthroughs seemed to come “from thin air.” Einstein said he “saw” relativity as he idled away in a canoe after an illness. Darwin said that after years of collecting data, on a day when he was relaxed and away from his workplace, “the key elements of evolution fell into place in an instant.” It is precisely these direct, personal experiences of the world around us, these ways to access intuitive knowledge, that give deep meaning to life. And it is precisely these experiences that seem induced by sensing energy fields in our world and connecting with them. 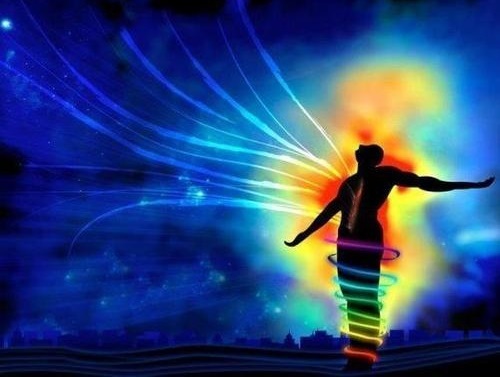 Through resonant connection with the field of energy and information all around us, one can experience the full spectrum of higher dimensional realities, past three dimensional physical reality, experientially, as our soul uses all dimensions to create learning experiences that enhance your evolution. Is felt as a connection to others (a feeling of belong to a group and acknowledgement of commonality or similarity with the others). Involves a felt sense of movement of boundaries (individual body or cells felt larger, emotionally, psychologically, spiritually expanded; group expansion of space; collective sense of oneness or unity, dissolution of individual boundaries and adoption of the collective boundaries as one’s own. ← What in the World are You Doing as a Spirit in a Body?